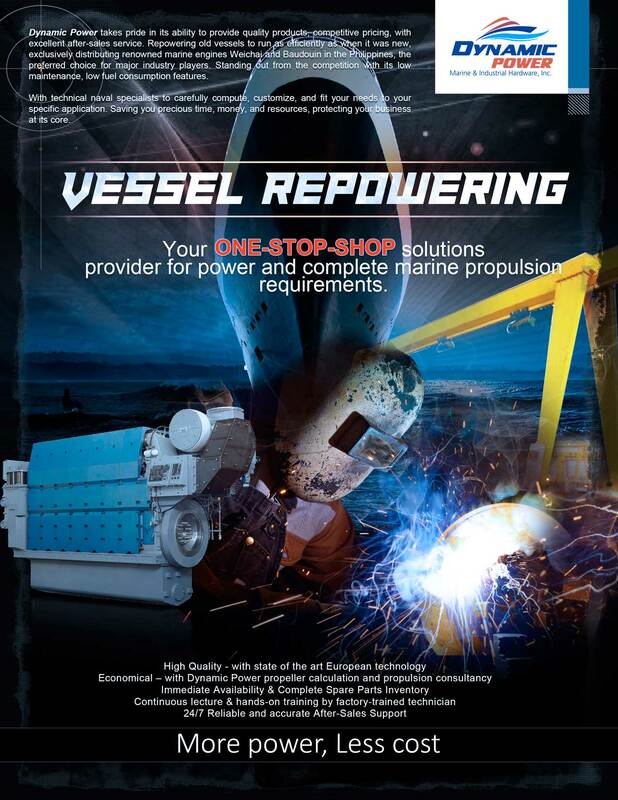 Dynamic Power takes pride in its ability to provide quality products, competitive pricing, with excellent after-sales service. 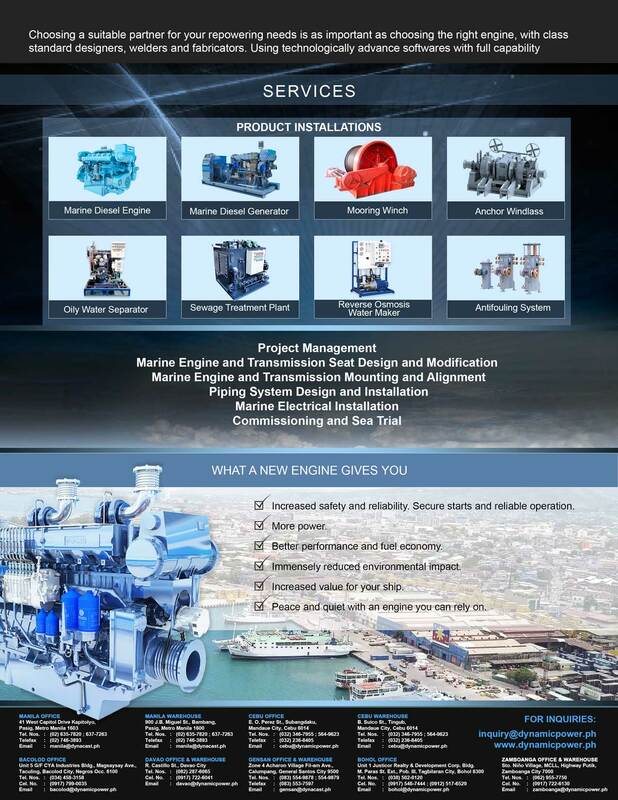 Repowering old vessels to run as efficiently as when it was new, exclusively distributing renowned marine engines Weichai and Baudouin in the Philippines, the preferred choice for major industry players. Standing out from the competition with its low maintenance, low fuel consumption features. 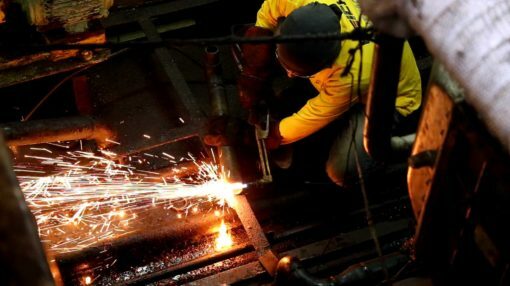 With technical naval specialists to carefully compute, customize, and fit your needs to your specific application. Saving you precious time, money, and resources, protecting your business at its core.